PERLAVITA Large hole bead with Rhodium plated Sterling Silver Insert. Authentic Murano glass over white gold foil give it a great sharp look. Great shape approximately 14mm round and 8mm wide hole to hole. The hole inside these is approximately 2.5mm and fits our PERLAVITA 2mm Bracelet - PERLAVITA BIMBI or PERLAVITA DUE. 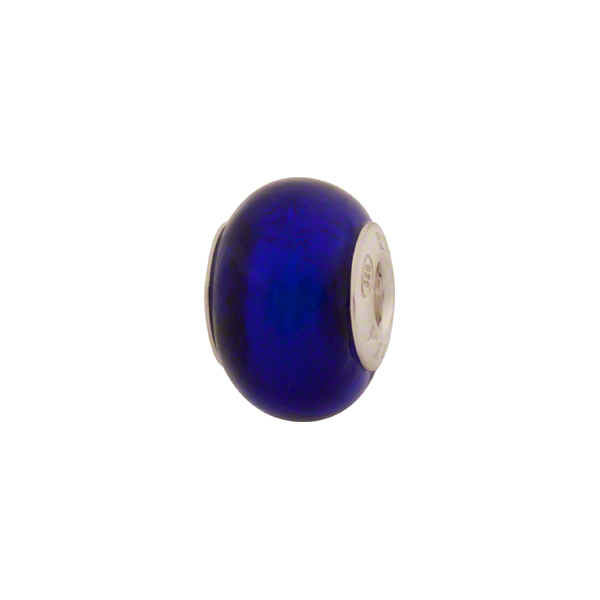 The color of this one is a rich Cobalt Blue Murano Glass. Note it does not fit our standard PERLVITA bracelet.